In your everyday life, you probably rely on your smartphone more than you realize. With internet access available nearly everywhere you go and thousands of apps to satisfy every need, you probably spend several hours each day on your phone. The caveat to most smartphones—and iPhones in particular—is the fragility of the screen. Accidentally dropping your iPhone or knocking it against a hard surface could completely shatter your screen. When this happens, you need iPhone repair services, or you will not be able to use your phone for much longer. Appropriate Tools & Skills: Many websites sell iPhone repair kits. These kits include a replacement screen, as well as the other screws and pieces needed to completely replace your screen. 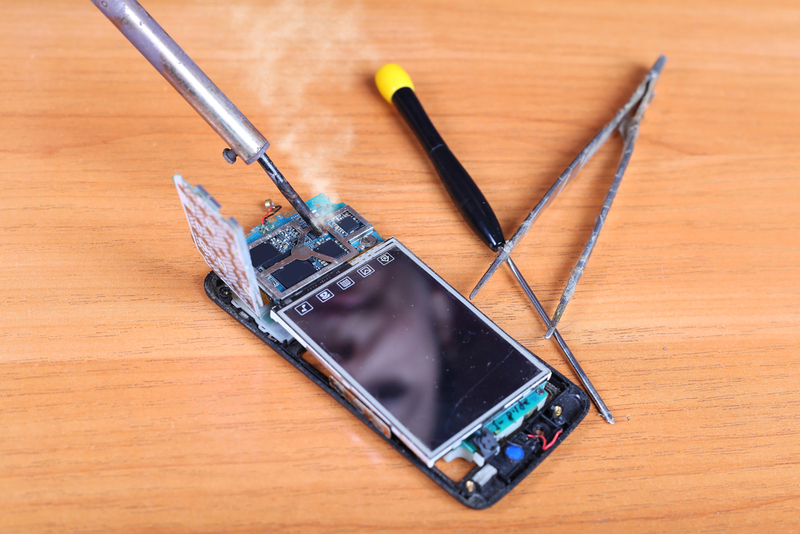 If you have never repaired an iPhone screen before, you will quickly notice that the task is more difficult than it seems. It requires precision, a steady hand, and a working knowledge of the mechanics of an iPhone. Professional repair centers offer all of these skills and already have the tools to fix your screen in stock. Guaranteed Results & Efficiency: iPhone repair centers understand that their customers want exceptional results in a short amount of time. For that reason, many repair centers such as Compute offer complete cellphone repair in under an hour, along with a satisfaction guarantee. Warranty Protection: Your iPhone’s warranty is voided the moment you try to conduct any repairs yourself. This means that if you attempt to replace the screen on your own and end up damaging your phone altogether, the iPhone and data stored inside could become little more than junk. An iPhone repair center will take the necessary precautions to ensure that the job is done correctly and your warranty will not be voided. If you are in the Russellville area and need an iPhone repaired, call (479) 968-4917. In addition to cellphone repair services, Compute also provides computer and laptop repair. For a full list of services, visit their website today. What Are the Pros & Cons of Buying a Used Computer?